Doris Bohrer, left, and Elizabeth "Betty" McIntosh were both operatives during World War II with the OSS, before it became the CIA. If you want a group of soldiers to stop teasing you about being a female spy, just drop a grenade in the middle of their lunch table and watch them run. Almost 70 years later, Bohrer reminisces about her OSS days from the couch of her home in a Virginia retirement village. Now 90, she’s surrounded by seniors whose pasts are more sedate, but as she learned to her pleasure soon after she moved to the village, at least one of her new neighbors can relate. 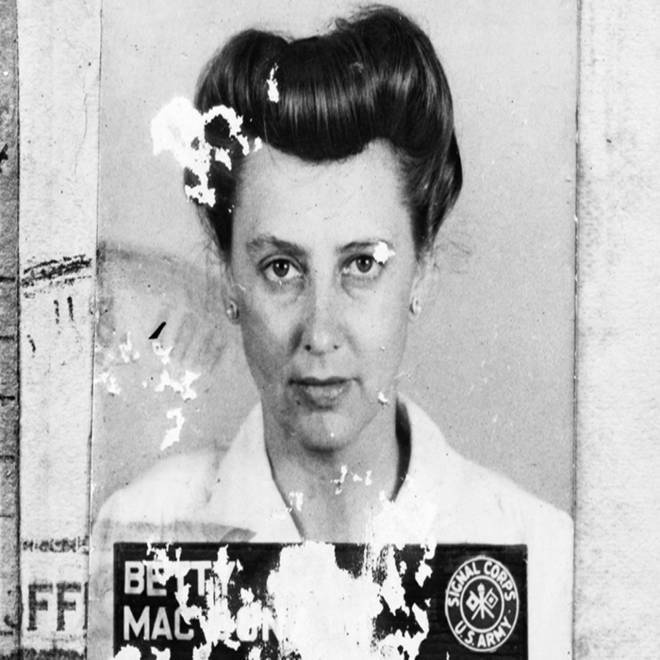 Betty McIntosh signed up for the OSS in 1943. A Hawaii-raised journalist fluent in Japanese, she had seen the wreckage of Pearl Harbor first hand. She was sent to Asia to write propaganda and deliver messages and supplies to undercover agents, including a bomb disguised as a lump of coal that derailed a Japanese troop train. Together they were pioneers in a clandestine agency that helped win the war, two of the small number of women sent overseas and, in Betty’s case, the few sent behind enemy lines. They never knew each other during the war, even though both trained at headquarters at Washington at around the same time. But they both recall how women were treated. Growing up in Maryland, Bohrer’s dream was to be a pilot, but after taking the civil service exam she settled for typist when the OSS called. Soon she’d been dispatched to the Adriatic coast to analyze aerial photographs of concentration camps and plan troop drops. She was 21. A pictorial history of America's female spies, from the OSS officers who worked behind the lines in WWII to some of today's top CIA officials. McIntosh specialized in “Morale Operations” in China and India. “We were authorized to engage in espionage, initiate rumors, forge documents, dynamite rail bridges, and infiltrate enemy lines,” she would later write. During one mission, McIntosh even shared a terrifying flight and then a room with famed chef Julia Child, a fellow OSS agent. As the women flew from India to Kunming, China, their plane crossed the infamous and deadly “Hump.” The flight was turbulent and they could look out the window at the glinting hulks of all the crashed planes scattered on the mountainsides. 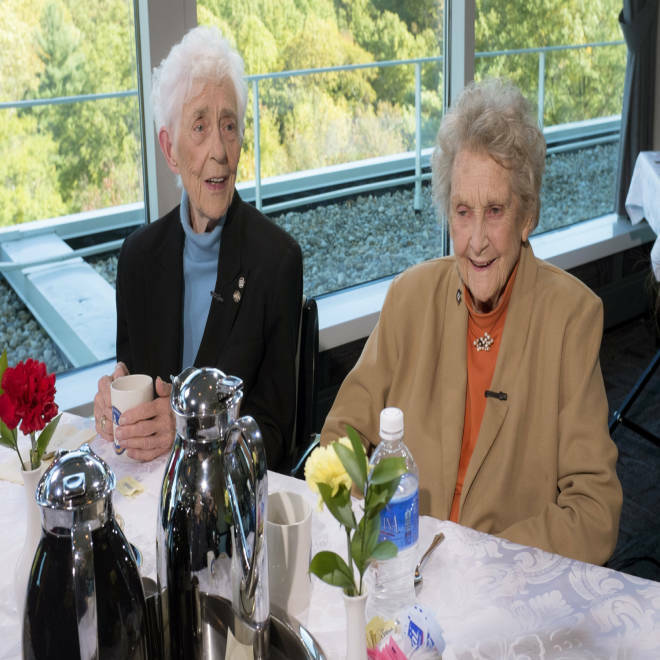 Betty McIntosh, 98, and Doris Bohrer, 90, are two of the oldest living American female spies. They sat down with NBC's Ann Curry to discuss what it was like to serve in the CIA and its predecessor, the OSS, during World War II. On another mission, McIntosh delivered a black rock to an operative in China. She thought she was handing him a lump of coal. The coal was actually dynamite in disguise, and the operative used it to blow up a Japanese troop train as it crossed a bridge. The OSS disbanded in 1945 when the war ended. Two years later, the CIA was formed. McIntosh and Bohrer both went on to work for the agency, but their paths never crossed. That may have been because McIntosh was immediately dispatched overseas – where, she still won’t say. There are many tales McIntosh and Bohrer remain unwilling to tell about what they did for the OSS and CIA. Though technically they’re now free to talk, they feel an obligation to keep quiet and maintain they do not share some stories even with each other. McIntosh has packed the tales she can tell into two books, “Undercover Girl,” published in 1947, and “Sisterhood of Spies,” released in 2009. “Undercover Girl” has been out of print for decades, but may be reissued in 2014. Bohrer became a real estate agent after retiring from the CIA and decided to move to a retirement village after her husband died in 2009. McIntosh has outlived three husbands. Now the widows live in Westminster at Lake Ridge Retirement Community in cottages just steps apart. Both chose the complex on recommendations from the same ex-CIA colleague, as they discovered later. They enjoy spending time with each other and with their pets, Bohrer’s poodle Ari and McIntosh’s cat Nekosan -- “Mr. Cat” in Japanese. Gabriella Calamari and Ashley Hirst, two of the CIA's youngest employees, say there is no glass ceiling limiting what they can achieve at the agency. Ann Curry reports. In October, McIntosh and Bohrer traveled to CIA headquarters in Langley, Va., to meet two of the highest ranking women in the CIA today, Director of Intelligence Fran Moore, and Sue Gordon, who was then director of support but has since been named the agency’s cyber czar, a newly created position. Driving up to the CIA’s iconic headquarters building, Bohrer said it felt like she was going home, since the Agency is the only place that knows the extent of the undercover work she did. Both women felt honored when CIA Director John Brennan met with them and thanked them for their long service. “That was just a real treat. It’s nice to be recognized for everything you’ve done and can’t tell anyone about,” McIntosh said. They are amazed at how far women have come in the agency since they were just “girls,” and look forward to the day when they can celebrate the appointment of the CIA’s first female director.